The application is a once off process and is required only for your first rental, thereafter a simple email booking may be done to book gear. The application process needs to be completed 24hrs before equipment can be released. The application is for security and insurance purposes. Equipment will not be released unless we receive completed applications and the application checks have been approved. You can download an application form from our site or fill it out online here. The name of the company or contact person who has an account with us. The date you want to collect. The dates of your production. The date the equipment will be returned. At which branch (Johannesburg or Pretoria) you want to collect and return the equipment. 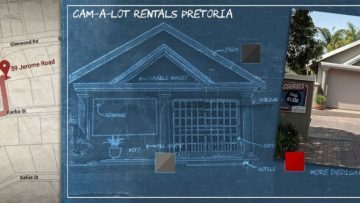 Bookings can only be made with the consent of the account holder who has signed the surety with Cam-A-Lot Rentals. You can collect your equipment on the day of hire, or the day before from 2pm onwards to ensure the gear you want has been returned by any prior customers. Equipment may be collect from either our Randburg or Pretoria offices. It is very important that any collections from the Pretoria branch are clearly noted via email, and with sufficient lead time as Pretoria may need to get the stock from our Johannesburg Branch. If you have booked equipment to use on a Saturday, you may collect on the Friday from 2pm. Or you may collect on Saturday as we are open from 9am until 12pm. We are closed on Sundays, so returns are done on Monday morning before 11am. You will only be charged for the Saturday. The equipment will be checked through with you. Check that you have every item you booked, and feel free to test or get advice on any item of gear before leaving. Let us know if you are traveling with gear so we can provide a packing solution to help make your travels easier. Our head office is in Ferndale, Randburg across from DSTV customer care centre. We also have a collection point in Pretoria to cut down travel for our Tshwane customers. JHB: 18 Grove Street, Ferndale, Randburg. PTA: 59 Jerome Road, Lynwood Glen. Returns must be done before 11am on the day following your booking. The equipment will be checked through with you to ensure all is in good working order and all items are back. Basic kit: this includes everything you need to get going. Cards, batteries and a tripod. 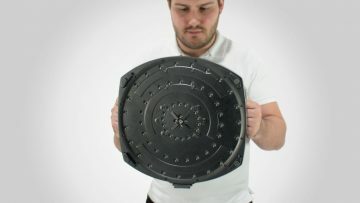 With this you will be able to shoot straight out of the bag. 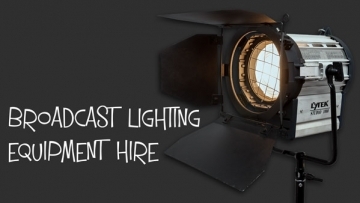 The full kit: this includes everything in the basic kit as well as a lighting kit and additional sound equipment. You will need to copy all your recorded media before returning the cards to us. We format the cards before they go out again, so all footage will be lost. If you have formatted the card accidentally you may need to undertake a data recovery process. This is a very specialised process and the results are seldom satisfactory and comes with no guarantee. The important step to take upon realising your data has been lost it to eject your media and leave it alone. The less you do and try, the better the chances of recovery are. You should look for data recovery specialists. We do have software available for SD card recovery, but we have varying degrees of success dealing with recovering information. Our website offers a way to generate a quote so you can calculate the rental cost for a list of selected equipment. This list shows the rental price per day and is inclusive of VAT and all “handling” or “rental” fees. You can email this list to yourself or use it to communicate what booking you would like to make with us. Please note that this does not serve as a booking and no gear will be reserved for you based on this estimate generator alone. Equipment stolen out of an unattended motor vehicle will not be covered by insurance. When the gear leaves our premises, you accept full responsibility for all lost, stolen or damaged equipment. All our terms and conditions for rental can be viewed here.